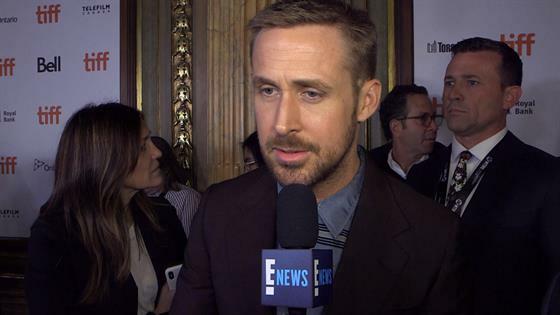 Ryan Gosling is ready to reach for the stars. The Oscar nominee is returning to the big screen later this year to play Neil Armstrong in First Man. And when supporting the film at the 2018 Toronto International Film Festival, Ryan couldn't help but share what he's learned about astronauts and the space community. "I don't think I was aware of the level of sacrifice involved in these missions and just the level of danger and how much sacrifice from not only the astronauts but from the hundreds of thousands of people who made it possible," he shared with E! News at the Elgin Theatre. "It's an extraordinary story of sacrifice but also of hope." First Man will tell the story of Neil and the legendary space mission that led him to become the first man to walk on the moon all the way back in July of 1969. Kyle Chandler and Claire Foy are just some of the talented stars that round out the cast. The movie will also allow Ryan to reunite with La La Land writer and director Damien Chazelle. Now if only Emma Stone could be a part of the fun for a full reunion! "She's busy as well this year. She's got her own great movie The Favourite. 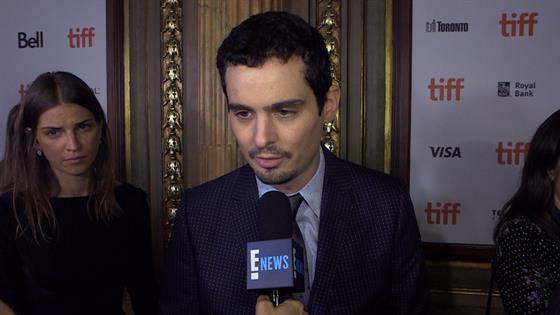 I'm hoping our paths will cross again but yah, we joked about it a little bit," Damien shared with E! News. "When she said she would play the moon, that was her idea but it didn't work out unfortunately." While Neil passed away in 2012, the cast and crew were still able to meet with many close to the monumental moment in space history. And yes, they were more than helpful in providing a realistic, inspiring account. "It feels amazing. It certainly was a bigger pressure to get it right especially because we knew the families of the astronauts involved would be seeing it so we leaned on them for support. They were amazing just giving us as much information and time and details as we could ask for," Damien explained. "A lot of research went into it but it just felt like a big privilege honestly to be able to tell this story." You too can travel to space when First Man hits theatres everywhere on October 12.